VT-E is Pro-Ject's first ever vertical turntable and its innovative design makes it a unique offering. It can be installed easily on a desktop or a wall and comes in three different finishes. Pro-Ject’s VTE is the very first upright turntable offering contemporary design unique to the market. Available in both and right-handed and left-handed versions along with a variety of finishes, the VT-E can be easily adapted to a wall or desktop. We also sell the VT-E BT bluetooth version. Pro-Ject Audio Systems are at the cutting-edge of hi-fi turntable design. 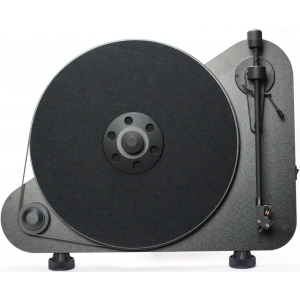 The Vienna-based company design and engineer a vast range of record players, with the aim of providing a viable option for any audio enthusiast – regardless of budget or technical requirements. 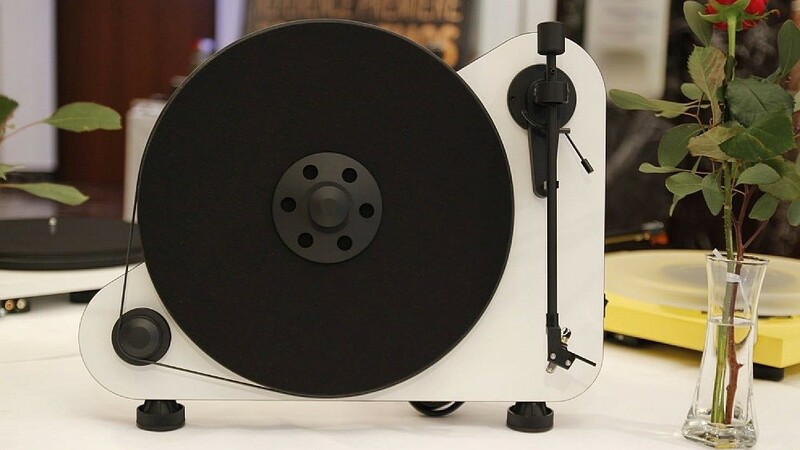 With the rapid re-emergence of the vinyl format in popular culture, Pro-Ject are also looking to attract new people to the world of high-fidelity audio by producing a lifestyle turntable that incorporates hi-fi principles into a device that really stands out in your home. 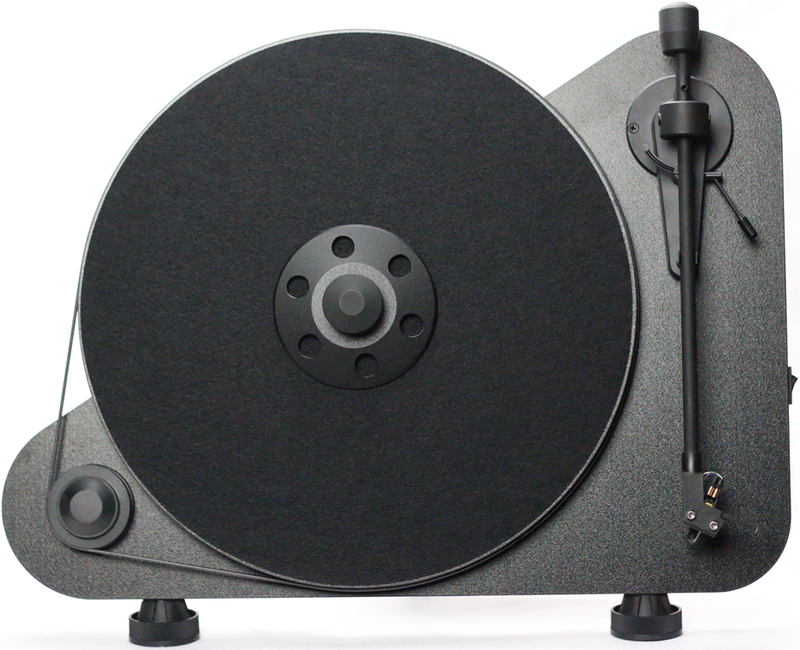 Based on the world renowned Elemenatal turntable, the VT-E also features a pre-set cartridge and tonearm so all you need to do is connect it to your hi-fi system and install the platter and belt making what is usually a very complicated turntable set-up very easy and simple. The platter and plinth of the VT-E is constructed from acoustically balanced average-density fibreboard. 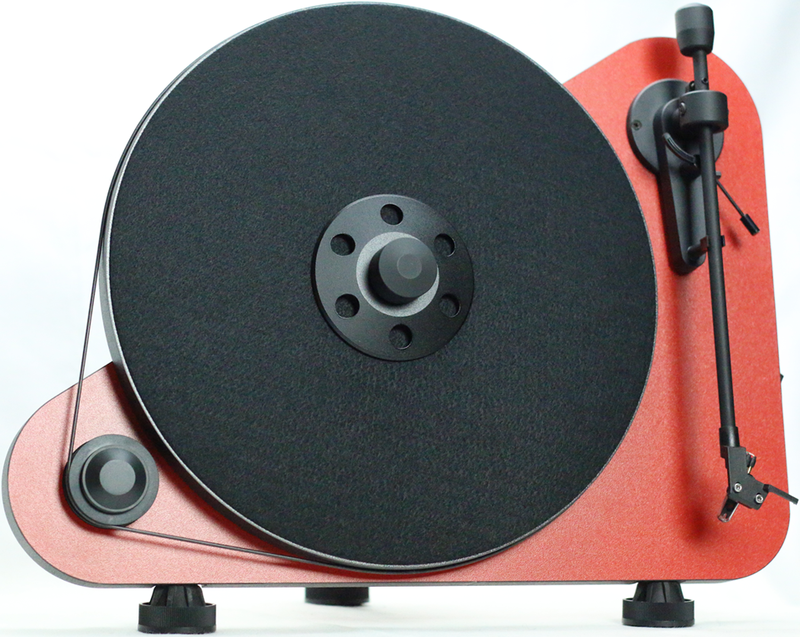 The record clamp assures records don't slip during playback. Whilst mounted onto a desk the feet supplied and back-support creates a strong tripod that separates most peripheral vibrations. When mounted onto a wall, the mounting kit supplies assures excellent fixing to surfaces. Pro-Ject motors have been proven to stand the test of time, and the VT-E is no different as is features the same design as found in other models. It has an AC generator providing consistent speed stability and negligible sound. As found in the Elemental models, the VT-E’s tonearm is constructed from aluminium however it features an all new specially-designs spring mechanism which boasts accurate record tracking despite being played vertically. The VT-E comes pre-supplies with Connect-IT E phono cables to provide great external phono stage connectivity. 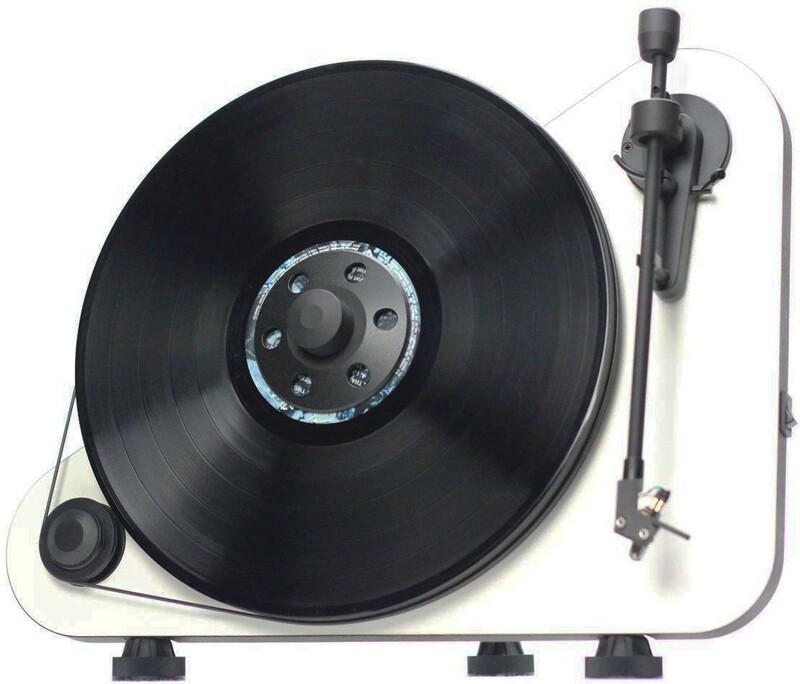 To finalise, the VT-E is a statement hi-fi turntable that looks completely unique. The VT-E is available in a variety of finishes – White, Matt Black and Red and is comes supplied with all necessary accessories. To allow for convenient cueing, the left-handed tonearm faces up and visa versa. For unparalleled style, Pro-Ject will soon release an alternative model which boasts a plinth in a high-gloss finish along with optional Bluetooth output and a built-in phono stage.